RIM, Research in Motion recently updated their Blackberry Playbook to 2.0. To say the lease I am impressed so far. I would love to test one out and do a formal review especially among the autistic education community. If you can send us one or 2 that would help us to help autistic people via technology, music, and the arts and to improve the quality of life for autistic people. I tried out the new version of the OS at CES and was quite impressed by the improved design, and email client. 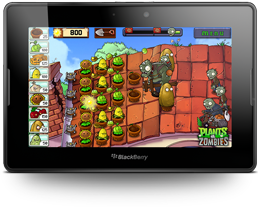 Be the first to comment on "Blackberry Playbook with OS 2.0-A preliminary overview"